A straightforward guide to creating an effective marketing message for your brand. Developing a clearly defined marketing message is more important than many marketers understand. When it comes to effectively reaching your consumer, you need to be able to communicate with them on as personal a level as possible. Sometimes that’s easier said than done, right? 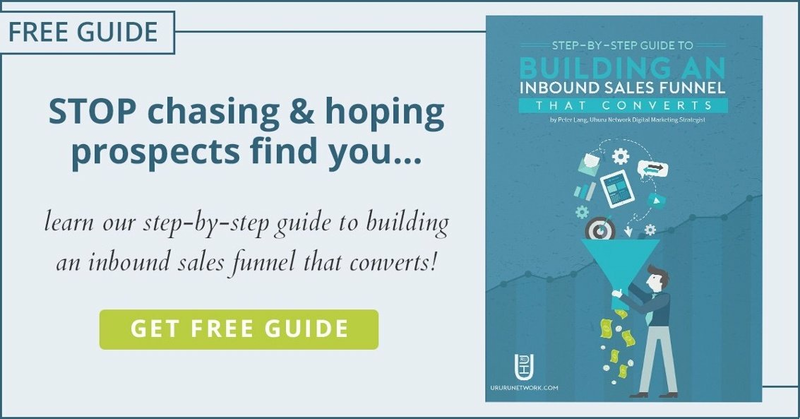 Lucky for you, we’ve created this guide to crafting a compelling marketing message to improve the way you market across the board. Follow along as we cover the process for crafting the perfect marketing message to help you reach your audience most effectively. What Is a Marketing Message? Simply put, your marketing message is what you say to your audience when you’re selling them on what you do. The problem is that this definition doesn’t clearly identify what most marketers are missing out on when creating their own marketing message. What you say to your audience has the power to influence them and dramatically enhance the efficacy of your marketing. Your marketing message needs to be crafted with care. Why Is Your Marketing Message Important? Your marketing message isn’t just what you’re saying to your audience; it’s how you say it to them to elicit an emotional and/or logical response that reaches them on a deeper, more personal level. It’s also how you communicate to them in a way that makes them feel like the message they’re consuming was created just for them. Your marketing message exists to do one thing: convert skeptical outsiders into supportive insiders. In order to do so most effectively, you’ll need to understand and implement the following concepts in all of your future marketing copy. This is the most important piece of marketing advice you’ll find in this entire article. In fact, it’s so important that it comes up in nearly every post we write. If you aren’t clear on the specific group of people you’re speaking to, you may as well not say anything at all. If you haven’t already defined your buyer personas, be sure to take the time to do so before you move forward with any further marketing initiatives. Your ability to reach your audience will be considerably hindered without an attempt to reach them on a deeper, more personal level. Why do they care about what you have to offer? You can’t hope to convince someone that your product/service is right for them if you don’t fully understand WHY it’s right for them. The perfect way to determine your “why” is by identifying the pain points of your audience and how your product/service can help to solve them. What problems does your audience face and how does your product/service stand to help improve their lives? Rather than assuming your audience wants to hear about your features and pricing, you’ve clearly showcased your ability help them solve their problems more effectively. The difference between simply listing your features and outlining those that your audience actually cares about is that you’re showcasing the benefits of your product through the features that your ideal buyers have shown interest in. Once you clearly understand who you’re speaking to and the problems they care most about, it’s time to work on your headline. Most of your marketing will expose your audience to a single, powerful headline that can make or break your audience’s first impression of your brand and your product/service. Take the time to craft an effective headline that sums up the most important and relevant benefits. The point is to relay the most important benefits in a single, powerful line that gets buyers interested in knowing more about how you can help them. Once you have a headline that hooks readers and gets them interested in knowing more, that’s when you take a deep dive into the benefits you’ll be providing them. You’ve determined the problem your audience is facing. Now it’s time to prove to them that you truly understand what they’re going through. Relate to their problem with an understanding comment. Show that you genuinely care about their problem and that you want to help them. Then you can turn around and save the day with an “it doesn’t have to be like that” statement. At this point, you’ll be able to outline the benefits of your product and how they’ll never have to go through that problem again thanks to your brand. Too many brands focus on telling their audience who they are and what they do rather than getting down to what’s really important to their audience. People don’t tend to care about that stuff. They care about what’s in it for them. Quell your urges to talk about what you do. Instead, make the meat of your message about all of the amazing benefits people will receive from your product or service and you’ll hold your readers’ interest rather than pushing them away with a boring, sales-like, marketing message. The strategy above outlines the steps you’ll take to craft a powerful marketing message that your audience will respond to. Next, let’s look at some tips that will take your digital marketing message to the next level. People buy based on a fairly even mix of emotional impulse and logical reasoning. As such it’s important to help your audience see both sides of your brand. Create a marketing message that walks the line between the two. When fashion brands advertise things like “the hottest styles in the highest quality,” they’re influencing the buyer’s emotions with the style they love and their logical side by helping them understand that their quality product is a smart choice. Another way to increase the power of your marketing message is by including the results or experiences of people similar to the persona you’re speaking to. Remember, we’re not just looking to include a random testimonial from a satisfied customer. Instead, you’re working to connect the audience even further by showing them that someone like them, with the same pain points and problems, has experienced the benefits you’ve outlined in your marketing message. One of the subtleties of an effective marketing message is differentiation. Your primary goal is always to deliver the benefits realized by your buyers, but you should also be working to represent your brand as unique and exciting. If your competitors are all listing the same benefits that you are, what reason do people have to buy from you? What additional or unique benefits will your customers receive from buying from you versus your competitors? Is there a way to personalize them even further to help you relate to an even more specific buyer persona? What proves itself to be an effective marketing message on one platform may not be so effective on the next. For example, paid advertising on Facebook is the perfect place for you to tout the benefits of your product loudly and aggressively. People are expecting to see ads and will need some compelling copy to get them interested in what you’re selling. That said, if you’re writing a guest post to promote your product, your marketing message has to be far more subtle. You can’t expect people who are reading an article for its value to put up with feeling like they are being sold to. That’s not to say that you can include a powerful marketing message in your copy, you’ll just have to ensure your article delivers plenty of valuable content to justify a smaller amount of self-promotion. Our final tip may seem pretty self-explanatory, but plenty of marketers mess this up completely. Your marketing message should be crafted in the same way your customers speak. If your audience doesn’t use big words and technical terms, what makes you think they’ll relate to copy that does? Instead, keep your copy simple and straightforward, as if you were having a conversation with them in person. You can still sound professional without alienating your audience! The process of developing an effective marketing message is more complex than most marketers truly understand. We tend to get wrapped up in delivering an overly complicated rendition of our website’s About page every time we try to sell something when very few people actually care about any of that information (at least not at first). You’ll need to hook your audience by describing what’s in it for them before you can hope to have earned enough of their interest to talk about who you are and what you do. Use this blog post as a checklist next time you find yourself crafting a marketing message and use it to make sure yours is as effective as possible. Here’s to creating a truly compelling digital marketing message!